This wizard has been a bit of a joke amongst the JADE crew, and has been affectionately dubbed "Wizard Constantly Casting Fireball." It remained un painted for years, until JADE Guest Joel R decided he could do something with it! 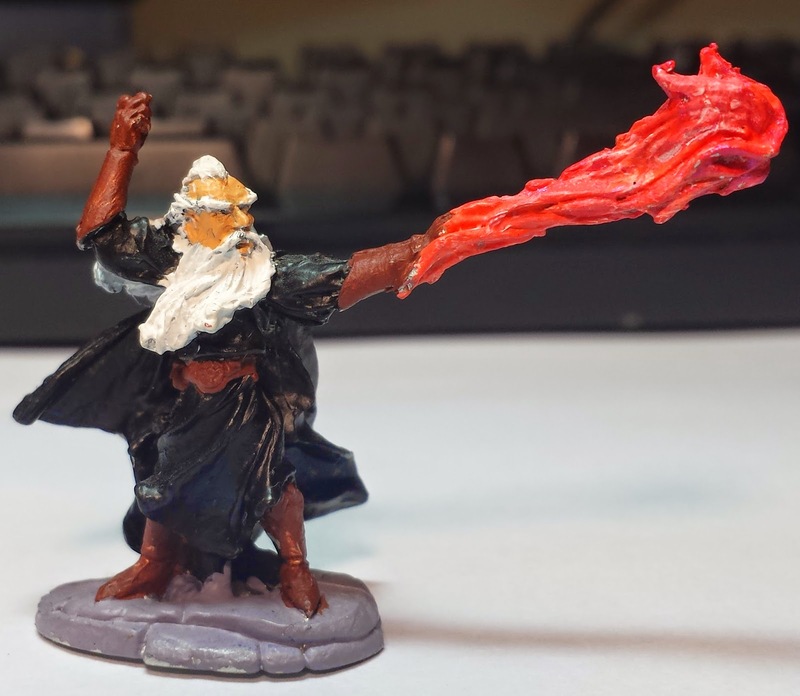 And thus Wizard Constantly Casting Fireball was painted. He normally gets used as a stand in for the villain, since constantly casting a fireball is a pretty evil thing to do.